Paul Aden of New York registered this plant as a hybrid of an unnamed seedling x H. 'Green Fountain' in 1986. 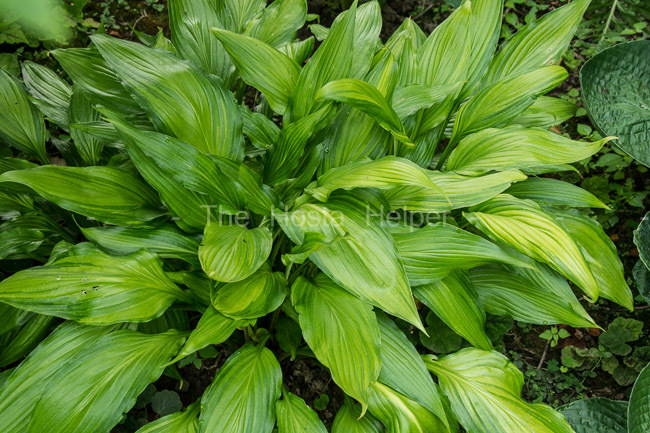 It is a large size (22 inches high by around 30 inches wide) mound of foliage with a gold center and green margins. The leaves are narrowly ovate with slightly rippled margins and long, curved tips. Pale lavender flowers are borne from late August into September followed by viable seeds. According to The Hostapedia by Mark Zilis (2009), this cultivar "...is widely known for its superb combination of gold-centered variegation and a flowing mound habit." 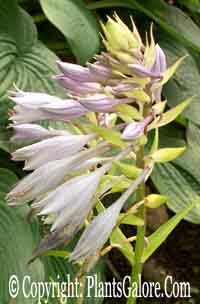 The New Encyclopedia of Hostas (2009) states: "Increases rapidly, but suited to container growing. 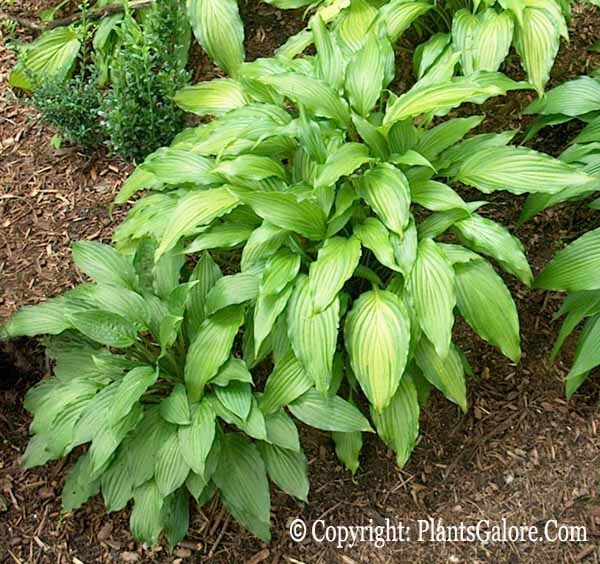 Is, in effect, the centrally variegated form of H. 'Green Fountain'...subtly variegated leaves on a cascading mound."